RIM's lead BlackBerry 10 executive leaves company | BlackBerry Blast! The Astonishing Tribe, the company behind BlackBerry 10's new UI improvements, is losing its founder. 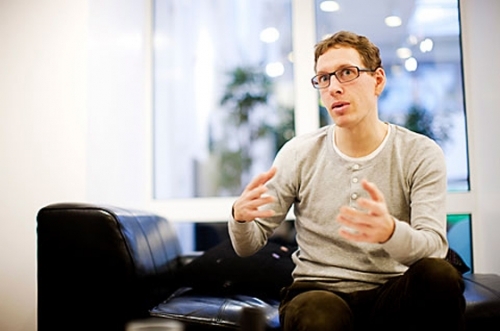 Hampus Jakobsson, the founder of TAT, announced on his Twitter page that he is leaving the company to pursue other ventures. He will hand over the work of BlackBerry 10 to other people at RIM. This is not good news for RIM. RIM later issued a statement to BGR confirming the news. RIM can confirm that Hampus Jakobsson has left his role as Director, Strategic Alliances at RIM. We wish him the best. The BlackBerry 10 UI team, which includes many members of The Astonishing Tribe, as well as others around the world, remains on track to deliver BlackBerry 10 in the first quarter of 2013.